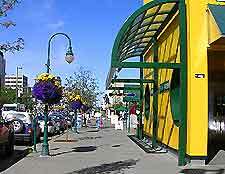 Anchorage boasts a good range of quality tourist attractions and landmarks, suitable for all ages. The lifestyle, culture and traditions of the native Alaskans in Anchorage are also well represented by a number of interesting and educational tourist attractions. 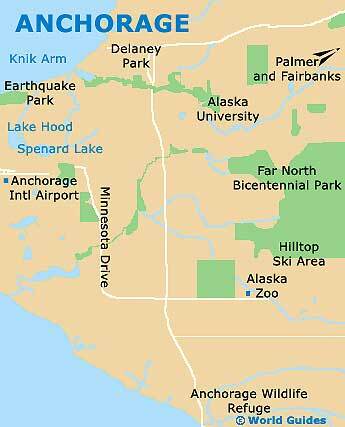 Combined with the stunningly scenic surroundings, you will find plenty to keep you entertained during your stay in and around the Anchorage area. The Alaska Native Heritage Center is a wonderful facility for developing an appreciation and understanding of the lifestyle, traditions and cultures of the native Alaskan people. Delightfully situated on a large estate, the Chugach Mountains provide an atmospheric backdrop. The grounds are well worthing exploring and have a central lake, which is surrounded by five model villages, each representing a different Native group. You can discover more insights into Native culture in the Welcome House, which features a host of static and interactive exhibits as well as enactments of authentic native dances and rituals. A quality café and gift shop round off the Center's attractions. An educational experience for the kids and science buffs, the Imaginarium is a fun-filled, hands-on laboratory full of amazing exhibits on all facets of the sciences. Check out the giant soap bubble, gaze at the stars, and get 'freaked out' by creepy insects and reptiles. Kids will also love the gift shop, which has an extensive range of all manner of geeky science toys and souvenirs. 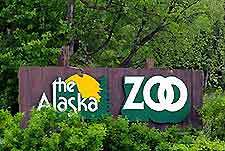 For those unable to visit Denali National Park or those wanting a taste of what an Alaskan safari might bring, the Alaska Zoo is a great place to become acquainted with the stunning array of the state's wildlife. Favorites with visitors include polar and brown bears, caribou, Dall sheep, reindeer, Siberian tigers, musk ox, seals, and of course, moose. There is also a good collection of birdlife. 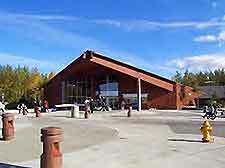 After experiencing the Alaska Native Heritage Center you may well develop a taste for the real thing. 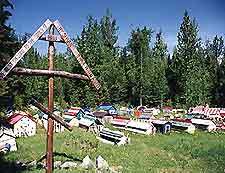 Eklutna is the oldest continually inhabited Athabascan Indian village near Anchorage and offers fascinating insights into the everyday lives of these hardy people. Highlights include colorful spirit houses, examples of Russian and Siberian architectural influences, and the authentic native crafts available at the gift shop. An interesting guided tour of the village is included in the admission price.